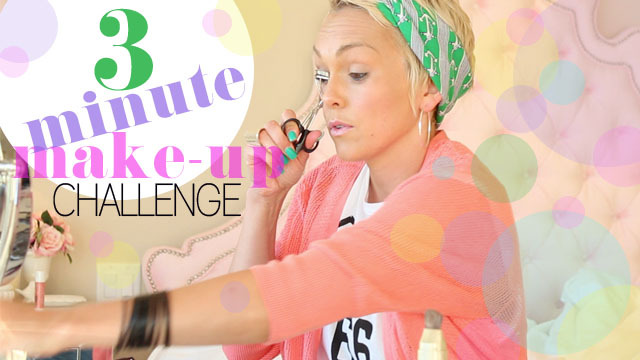 How fast can you put your make-up on? I don't know of too many people that have endless amounts of time to get ready. It's either rushing to get ready for school, you have negative time to get ready if you're a mom, or you're rushing to work or anywhere really! Now I've done a 3 Minute Make-Up Tutorial, which you can watch by clicking HERE. But I saw a really fun MAKE-UP CHALLENGE, where you have a timer and have to put all your make-up on in 3 minutes. No thought out plan, no tutorial, just putting it on. 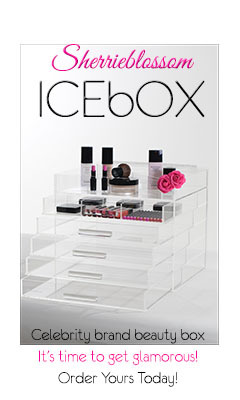 And maybe, this might just be your new way to put make-up on in a quick minute or 3! Get ready because the 2 ways to Tie a Bandana tutorial will be up next!